Visits to the country’s newest restaurants provide a street-level perspective on emerging menu opportunities. 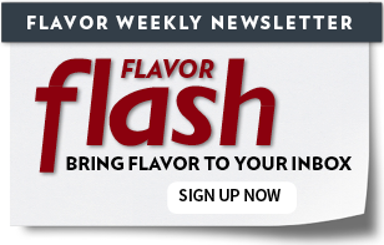 Extend the flavor stories behind some of the most craveable and successful profiles today. Sandwiches invite creativity, from riffs on such classics as club sandwiches and BLTs to new ingredient stars like lamb and braised short rib. Alan Skversky is the corporate chef for San Francisco-based Boudin Bakery. We asked him to share a flavor trifecta that demonstrates creative, unexpected flavor play. Elizabeth Falkner is a renowned chef, author and television personality. She shares five flavors that inspire her culinary creativity. Pizza offers a safe point of entry with mainstream appeal—yet it’s positioned to step outside of traditional parameters. Here are 10 modern approaches that can propel pizza innovation.